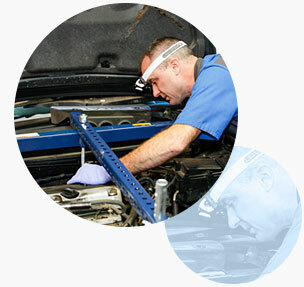 Belts should be inspected once a month or at minimum, with every oil change. Symptoms of a worn belt can include frayed, worn, glazed or cracking of the belt. Most modern vehicles have only one belt to control all systems (alternator, fan, water pump, power steering, air conditioning, etc.). Belts should be replaced approximately every 50,000 miles, or if there are 10 or more cracks in a one-inch section of the belt(s). Hoses should be checked approximately every 3 months, or with every oil change. At Express Oil Change & Tire Engineers, we inspect the vehicle’s hoses as we perform an oil change. Our technicians look for swelling, softness, or cracking. Inspecting hoses can be dangerous if the engine is at operating temperature, so we encourage you to let an experienced, certified technician at our locations perform hose inspections on your vehicle. Most vehicles have two radiator hoses and several heater hoses, however, some hoses are not visible and can be easily overlooked if you're not trained to locate them.